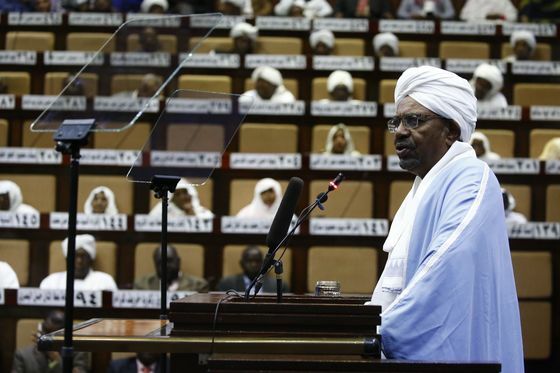 (Bloomberg) -- Sudanese President Omar al-Bashir plans to step down, al-Arabiya TV station reported Thursday citing unidentified officials, following months of anti-government protests. State radio said Sudan’s army is preparing to make an important announcement as military officers surrounded the presidential palace in Khartoum, the capital. Al-Bashir is under house arrest, and the army will set up a council to administer state affairs, broadcaster Sky Arabia reported. All political prisoners will be freed, the state-run SUNA news agency said. Al-Bashir would be the second leader in the region to quit amid nationwide protests this month, following Algerian President Abdelaziz Bouteflika’s resignation. Calls for al-Bashir to resign reached fever pitch in recent days, as security forces fired tear gas at thousands of protesters gathered outside the military headquarters in Khartoum, where the president has a residence. They urged the army to back their movement. 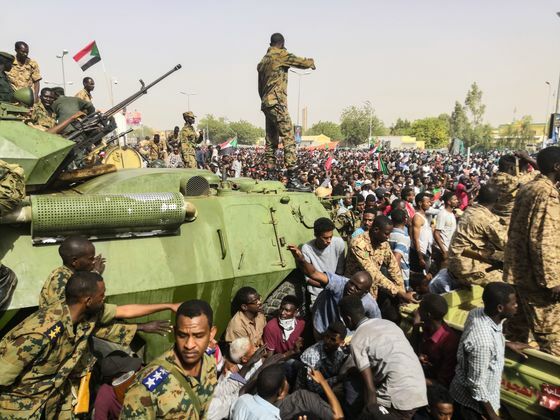 The army’s latest movements come as Bashir’s embattled ruling National Congress Party canceled a planned “million-man” rally to defend the 75-year-old on Thursday. Gunfire was heard around the army HQ sit-in on Thursday, close to the office of the Islamic Movement, a wing of the NCP. Africa’s third-largest nation has seen uprisings and demonstrations during Bashir’s three decades in charge. But the latest movement, which started in December with an outcry over rising living costs, had posed the biggest threat to his reign since he seized power in a 1989 Islamist-backed coup. His government has acknowledged some economic grievances, but insisted elections in 2020 remain the only path to change. People have protested across Sudan with security forces battling to contain them. Rights groups have said more than 45 people have been killed and 2,600 arrested. In March, the SPA made another bid to weaken al-Bashir, organizing a day-long strike that saw professionals including teachers and doctors stay home from work.